Do you know the muffin man? Follow us to Dreary Lane to collect the most delightful of treats. No, seriously. They are very delightful! Look at the smiles on the faces of these sweethearts. They are so cute that they are almost good enough to eat. hiccup Oops. I love the designs they're cute as can be. 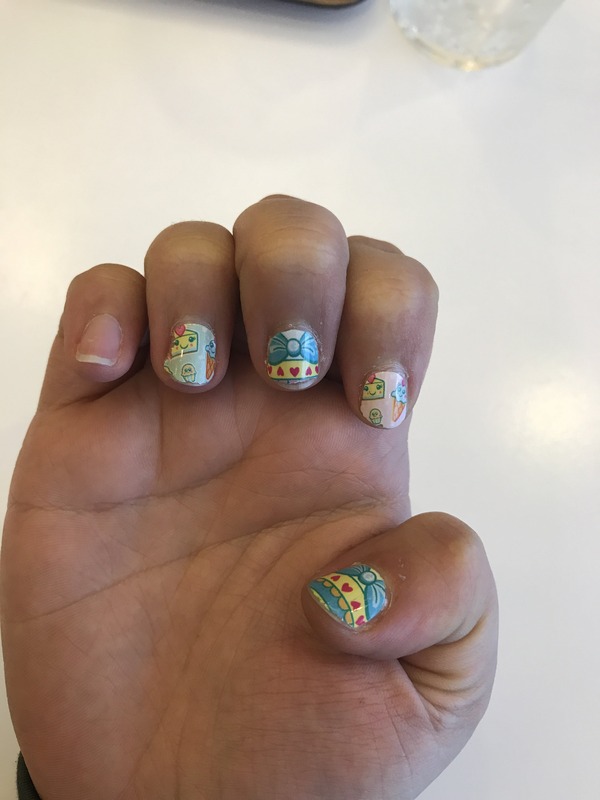 Unfortunately my nails are smaller than the designs so I had a cut the designs to be smaller which makes it look like a little butchered. But the designs are super cute just not right for my size. Hi AB, The Oishii treats are deliciously cute for sure. There are some designs that are a little better than others on shorter nails however, we suggest using a file to remove the excess, did you happen to try it this way? I ordered a couple sets for myself as well as for my sister. I'm wearing my second set right now. I must say I'm impressed! I'm quite lazy when it comes to my nail care but I always loved the look of clean beautiful nails. This allowed me to have cute nails with low maintenance. They stick on to the nail no problem, file off the excess, top coat and bam! Your done. I had no chipping or peeling until I took them off. Though I do wish they had a few extra in case you mess up placing them on. Hi Ashley, The Oishii Treats are so darn cute! This is another Boombox set where I needed to buy a second set. My daughter fell in love with them but then I needed a set too.